The story of VNTPay starts with InventoryClub. Our mission is to empower the Commonwealth by providing the world’s first peer-to-peer inventory finance marketplace. This inventory finance marketplace connects Commonwealth merchants with a global membership of financial backers. In order to do this effectively, we have created VNTPay — a digital wallet to utilise the power of the Commonwealth Crypto. 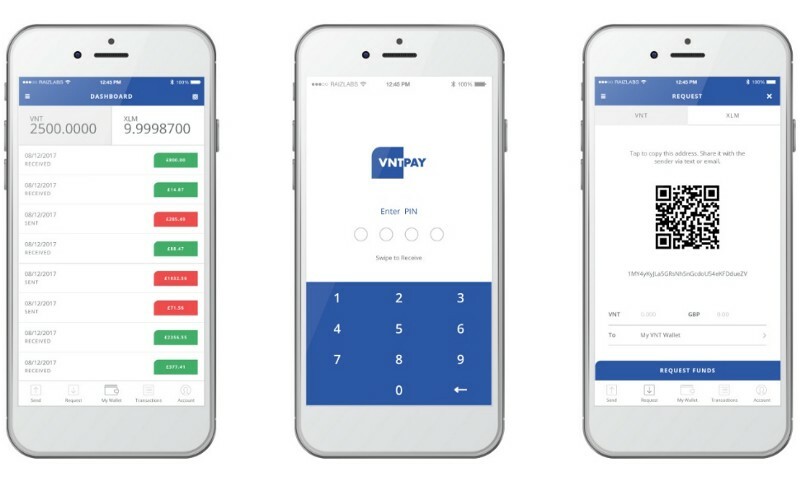 In this article, we are going to look at the scope of VNTPay, who it is for, and why you would use it. At our core, InventoryClub is an online ecosystem that facilitates the trading of inventory proposals between merchants and members to generate and maximise profits. Merchants put out their inventory proposals on the inventory proposal marketplace and allow members to select an inventory plan that best suits their profit expectations and time frame goals. Purchasing an inventory proposal is taken as micro-financing. Once the merchant’s proposal has been purchased, we acquire and maintain the inventory while the merchant sells the inventory on his or her online store. The profits made from each sale are shared on an agreed basis between the merchants and the members. Members receive their original investment plus their share of the profits. The Ventory Token (VNT) is the currency that is used to control the flow of funds by marking value to purchases and transactions, and VNTPay is the wallet that holds these token. VNT is built on the Stellar Network, benefiting from built-in token abilities, decentralized exchanges, enhanced security and cheaper and faster transactions. VNT is the lifeblood of the InventoryClub ecosystem, enabling members from the global community to finance merchants of the commonwealth. However, it is not exclusive to Members and Merchants. VNT can be used by anyone to transfer funds quickly and securely. VNT can be sent from one wallet to another, without fees, within seconds. VNTPay works to remove borders and bridge the gaps between merchants, members, and other VNT holders. VNTPay is a wallet designed to securely hold VNT and Stellar Lumens (XLM). It provides a platform for fast, efficient and safe point-to-point transfer across the world with next to no cost. And between VNTPay wallets, you can send and receive digital currency for free. Existing Stellar accounts can be added and new Stellar accounts can be created from within the app. The VNTPay wallet also allows for users to hold, manage and transfer their XLM even if they do not hold any VNT. Members using VNTPay have access to a wealth of investment opportunities by financing Commonwealth merchant proposals known as Inventory Finance Agreements (IFAs). Through VNTPay, merchants can instantly receive their share of profits to store, transfer or re-invest into other projects by becoming members themselves. VNTPay is slated to offer a wide scope of services to users on different levels. Primarily, VNTPay enables fast and efficient transfer of funds between VNTPay as well as other digital wallets. Through VNTPay, VNT holders have a secure place to store their VNT, which can be cycled into the system and used as financial backing for merchant proposals, or securely transferred between wallets and withdrawn for fiat currency. The VNTPay wallet is accessible to everyone, whether or not you are within a commonwealth nation. It is available to merchants and members of InventoryClub, as well as any other VNT holders. However, some restrictions do hold for anyone seeking to be a merchant — you must reside in a commonwealth country for merchant eligibility. VNTPay is also for Stellar account holders who would appreciate a clean, user-friendly, efficient and ultra-secure application to hold, manage and facilitate their XLM. There are no location requirements for being a member and you can choose to become a member from anywhere in the world to share the growth and share the profits of the community of merchants and financial backers worldwide. Through VNTPay, we are looking to add massive value and growth to the Commonwealth nations by providing individuals worldwide access to a wealth of financial and investment opportunities that will result in the growth and betterment of the lives of the merchants and people of the Commonwealth. VNTPay will promote individual and worldwide success through profit maximisation and exchange of value among members of a vast, global and vibrant community.